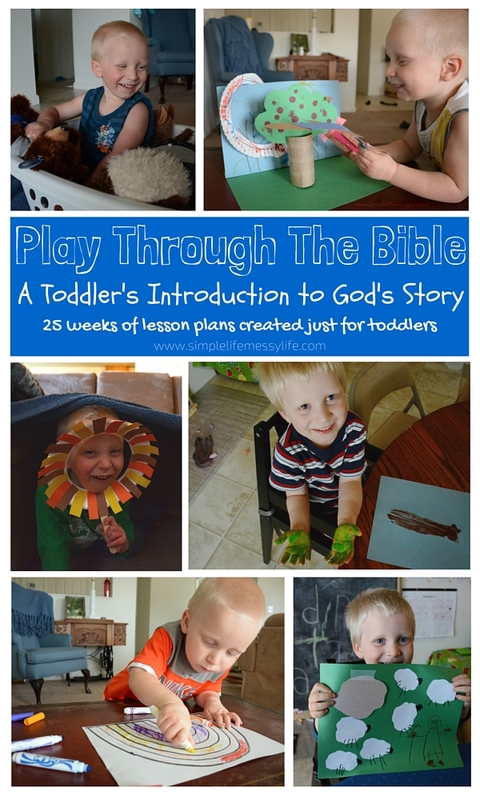 It takes creative preschool Bible lessons to keep little ones interested. It's never too early to begin planting God's Word into the hearts of children. Preschool-age children can learn powerful Biblical truths that will impact their lives. Those close to Timothy began teaching him the Scriptures when he was very young. God used these to help shape Timothy's character and prepare him for the man of God he was to become. Bible lessons for preschoolers can be a tool with which you can do the same to help these little ones become all God means for them to be. "But as for you, continue in what you have learned and have become convinced of, because you know those from whom you learned it, and how from infancy you have known the holy Scriptures, which are able to make you wise for salvation through faith in Christ Jesus." Teaching preschool children the truth of God's Word can be both challenging and fun! * They are curious - they want to learn! - Answer their questions. Choose one simple Bible truth or verse for each lesson and repeat it often. Ex. "God made everything." * They are imaginative - they want to create! - Be creative. Don't read the story; become the Bible character. It's time for "pretend" mode! * They are full of energy - they want to do! - Keep them active. Use a variety activities that stimulate all five senses. * They openly trust - they want to believe! - Share your heart. Model what you teach. It's been said - "more is caught than taught." 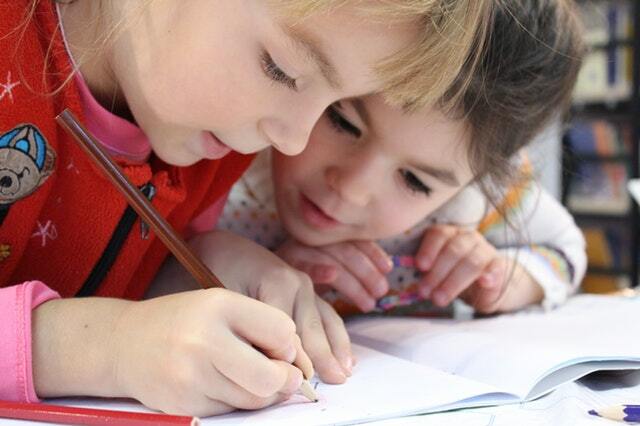 Plan preschool Bible lessons with plenty of short, engaging activities. 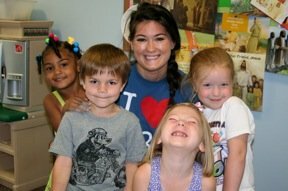 The folks at "Hubbard's Cupboard" offer a whole year's worth of free preschool Bible lessons along with crafts, games, and Bible memory tunes! Getting your preschooler ready for Kindergarten? Incorporate Bible lessons with teaching them the ABC's using these ABC Bible Lessons! These include printable ABC's to Bible coloring pages with a Bible word for each letter (A-Angel, B-Bible, etc. ), Bible verses, preschool crafts and more! Christian object lessons are also effective tools for capturing preschoolers' attention and imparting Bible truths in simple, memorable ways. Many creative Christians are offering free preschool Bible craft ideas! You can also find free Bible verse memory cards which you can customize yourself and print! Preschoolers are capable of learning so much even at this age. If you're looking for creative ways to help them memorize simple Bible verses or the Books of the Bible, you'll find some great tools on our Bible Memory Page just for kids. Focus on the Family offers a free printable of 26 ABC Bible verses appropriate for preschoolers! Christian preschool printables for games such as Memory Match, Bible Bingo, and many others are available also along with printable crafts, verse cards and more. A few more fun and helpful free preschool printables include printable Bible story books for children to make and take, and Bible lapbooks that are easy to make and great to use to reinforce Bible stories. If you're a homeschool mom, you'll love to make these with your little ones! Here are almost fifty great preschool Sunday school lessons from the Sunday School Center with step-by-step lesson instructions including Bible crafts and games just for preschoolers. These free preschool Bible lessons bring Bible stories from both the Old and New Testaments alive! A Bible Timeline designed especially for small children can help them get a glimpse of the "big picture" and how the Bible all fits together. This one has pictures along with the most familiar Bible stories and the dates in which each occurred. Also, take a look at Kids Sunday School. They offer several free Bible study lessons, object talks, Bible stories, and more just for preschool-age children. Preschool is a wonderful time to read aloud to children too! Try our children's Bible lessons written to go along with these great Christian children's books and picture books. We also have Christian Bible lessons written for some of the Dr. Seuss books. 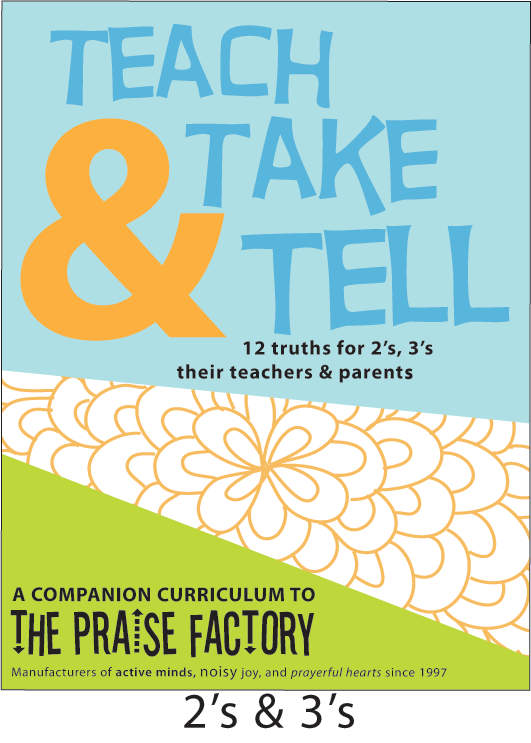 The Praise Factory offers a complete 12-week curriculum of Preschool Bible Lessons completely free and printable! This covers twelve basic biblical truths designed specifically for toddlers and includes creative music, crafts and other Bible activities that will engage their minds and heart with the truth of God's Word even at such an early age. And did I mention it is FREE?! Connie Dever is a pastor's wife with a love for teaching and writing children's curriculum for the past 26 years all for the purpose of furthering God's Kingdom. Check out other information and how you can support their ministry 9Marks at The Praise Factory site link above. She also offers similar free Bible curriculum for ages 4 & 5 and K-5th grades! Liz is the mom of two young sons and has developed 25 Bible lessons just for toddlers. She makes all these free Preschool Bible lessons available at her website and calls them - Play Through the Bible! Interactive games are another wonderful tool to use to teach preschoolers while also burning off some of that energy! Lifeway offers several ideas and suggestions just for this purpose.